MXR EVH117 Van Halen Flanger Dunlop has done it again! they have once again partnered with living legend Edward Van Halen to present a new spin on a classic tone. Everyone knows that it was the MXR Flanger that powered the timeless Van Halen tunes "Unchained" and "And the Cradle Will Rock". Now you can grab a piece of that world-class tone with the new MXR EVH 117 Flanger. This amazing stompbox features the same bucket-brigade technology that provided the sweeping, whooshing magic of the original. But they didn't stop there. They've also added the EVH Switch, which instantly calls up Eddie's "Unchained" sound with the exact same Manual, Speed, Width, and Regeneration settings that he used to get one of the greatest guitar tones of all time. 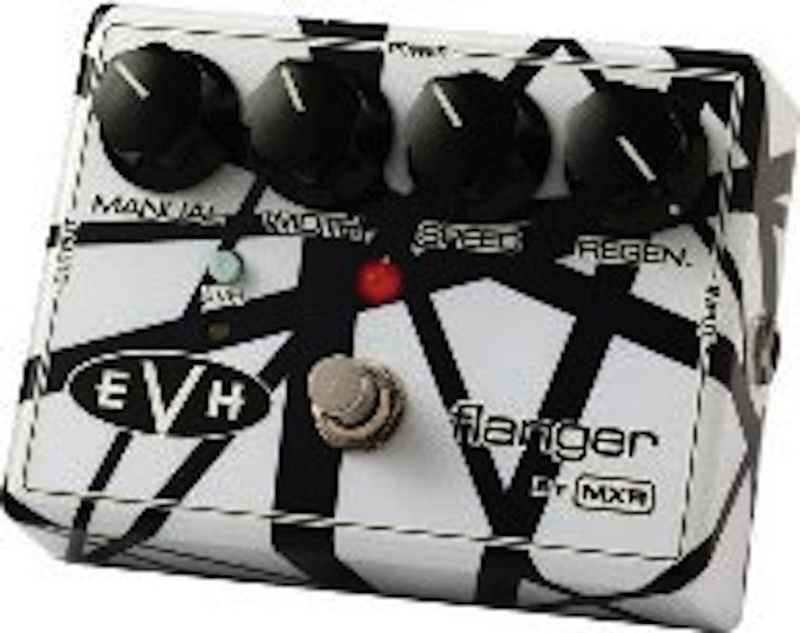 If that's not cool enough, they painted the EVH Flanger with the rocking striped graphics that started a revolution. Get the MXR EVH 117 Flanger and hit the ground running. The EVH Switch activates preset Manual, Speed, Width, and Regeneration settings for instant "Unchained" tone, Original bucket brigade design for classic analog flanging, Indestructible die-cast housing in EVH-approved striped graphics.